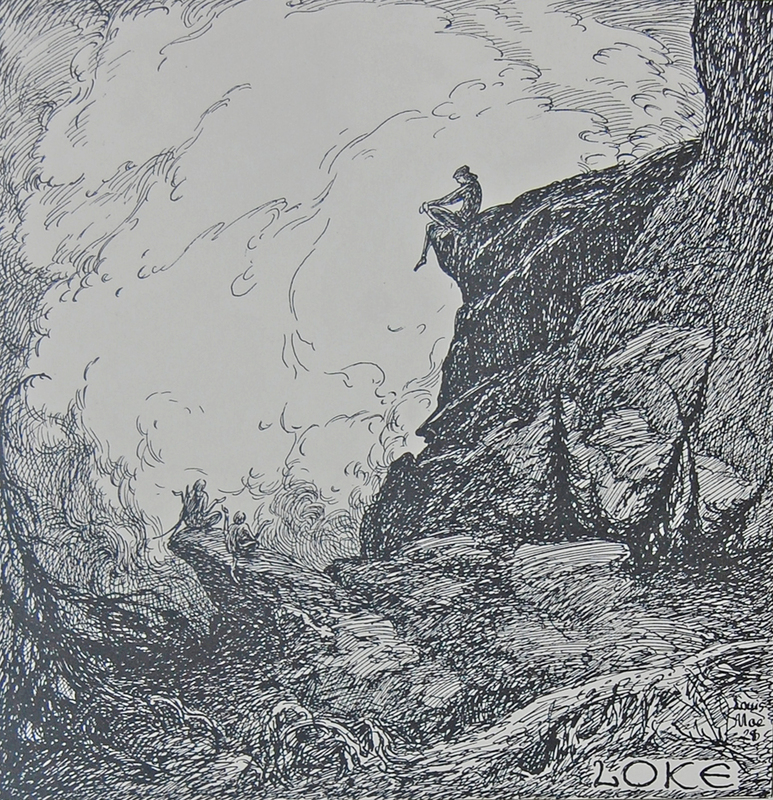 Description: Loki sitting on a cliff and, apparently, conversing with two figures seated on the rocks below him. This scene is from Louis Moe's Ragnarok: En Billeddigtning. The introductory text that follows this scene notes that Baldr is dead and that Loki is responsible.